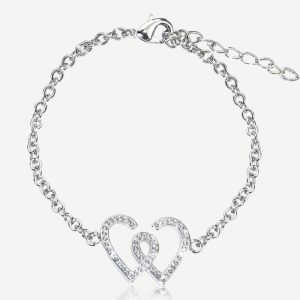 Scintillating Swarovski® crystals flash fire and sparkle with every movement of this gorgeous entwined heart bracelet. A celebration of style and individuality at an amazing price. Stunning solitaire ring with a 4 claw style setting emphasising the true beauty of the Diamond. Each PURE BRILLIANCE Diamond ring comes with a Gemmological Certificate issued by a Leading Independent Diamond Grading Laboratory. 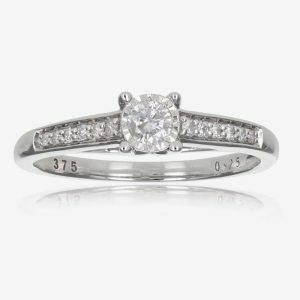 This 9ct White Gold cushion design cluster ring is a real beauty. 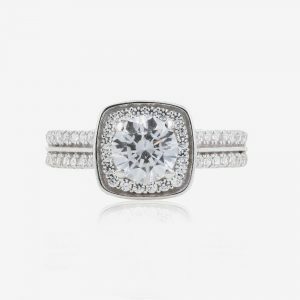 Hand set with DiamonFlash® Cubic Zirconia to create a ring of perfect proportions and with lots of sparkle and style. 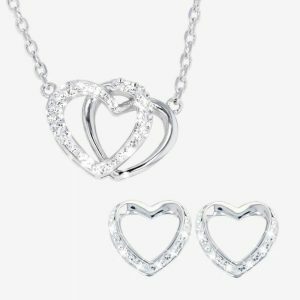 A fabulous accessory for any outfit.